Here’s a breakdown of their submission guidelines. As our mission is to encourage new writers, we will not accept entries that have already been published or performed elsewhere. Short Story: Up to 3000 words maximum on any theme or subject, and in any style, including genre fiction eg Fantasy, Romance, Science Fiction, Children’s etc. We are looking for real storytellers, who create great characters to tell us something fresh, and surprise or touch us. Creative Non-fiction: Up to 3000 words, on any theme or subject, from memoir to personal essay, to immersion reportage. We are looking for work that blends style with substance and tells us something new about the world. Script Writing (for the stage): We are looking for new work that is surprising, relevant, visually interesting and theatrical, with a running time of 45 to 60 minutes. Poetry: Up to 42 lines, on any theme or subject. We are looking for poetry that is honest and unexpected, reflecting the world that we live in. First 500 words of a novel: In addition to providing your 500 words please submit a 2 page synopsis of your novel. This is your chance to impress literary agent Madeleine Milburn and editorial director Francesca Main. Entrants are also requested to have the full manuscript available from 31st January 2016 in case they wish to see more. 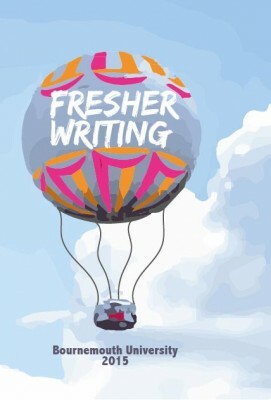 The prizes for The Fresher Writing Prize 2016 have been specially selected to help new writers get their foot onto the ladder and launch their writing careers. A one to one with literary agent Madeleine Milburn on how to best present yourself to an agent and gain representation. The Madeleine Milburn Literary, TV & Film Agency was formed in 2012 and has quickly become one of the top literary agencies in the UK. A one to one with publishing expert Ed Peppitt of Balloon Publishing and Getpublished.tv on how you can take your book to market independently. Ed Peppitt is a former Publishing Director at Letts Educational and a consultant to many leading publishers, including Hodder & Stoughton, Oxford University Press and Harper Collins. A professionally produced pod-cast of your work. A wonderful way of promoting your writing, the narration of your work can be shared via your website, or just with family and friends. A rehearsed reading of your stage script by Doppelganger Productions, and potential for staging. Doppelganger is the resident company of the Winchester Arts Pub in Bournemouth, and stages new theatre writing by emerging and established playwrights. It is particularly interested in work from Dorset-based playwrights and nurturing innovative writing through Doppelganger Dialogues. Their monthly theatre writing workshops are free to anyone who wishes to come along. Each category winner will receive £100 thanks to our sponsor Dorset Digital Print. A free 12 month pass to all Doppelganger Productions. You’ve still got until the end of the month to submit. We wish you the best of luck!